Ehlek's wife(?) and loyal servant, worships Makuta in secret, may/may not be a Tuyet-like ex-toa. May have been a little off topic, whatever. What do you think? Glad to see someone taking initiative! I can't see Ehlek as someone who would have time to marry, but Gorast could definitely be his advisor, possibly in love with him. That Makuta worshipping can work, I think. It would show that people thought Makuta to be the right brother long before the Rahkshi. Not sure what you mean with that Tuyet ex-toa part. Do you mean Lesovikk-Bingzak like ex-toa? 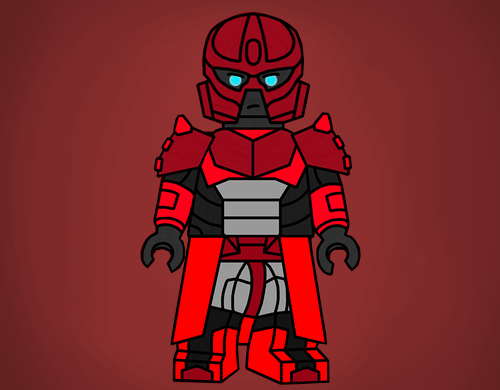 I don't want to add another Toa team right before the Toa Kanohi, but I think you may have meant something different. @AntrozT6 I don't know about Ehlek having/not having time to marry, but I don't really think that he would marry at only 14, even though Kanaen lifespans are shorter than others. As for the toa part, I need to try and make a pitch about how that could work. Otherwise, I would go with @Bokarda. Possible ex-toa solution that totally doesn't fit with canon but whatever : If there was a toa, after the toa died they would be reincarnated depending on what they did as a toa. The reincarnation would have same morals as the toa and be from the same region. What if there was a toa team long ago (maybe 6 thousand years ago, undocumented) that was somewhat Hagah-esque in the way that they were created to serve the Overseer. Gorast (And possibly Antroz, Vamprah, Chirox, Krika and Bitil) is a reincarnation of the toa from that team, the same way that Guurahk/Gaaki might be a reincarnation of Tuyet. If you mean a Toa team serving Makuta (the Overseer), that doesn't work. 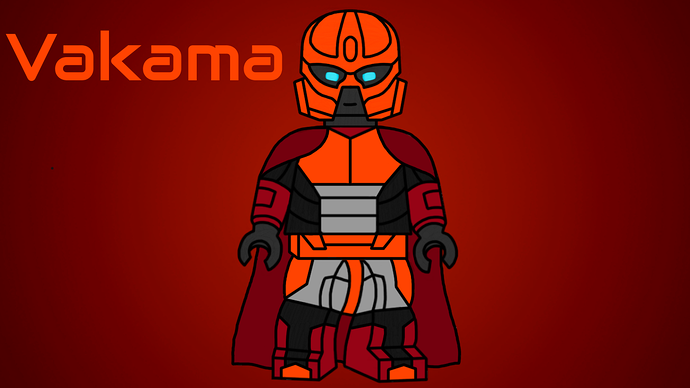 The Elemental Gods would never make a Toa team to serve Makuta, especially after he is defeated and sealed away by the First Toa. Ahh yes, the plothole. 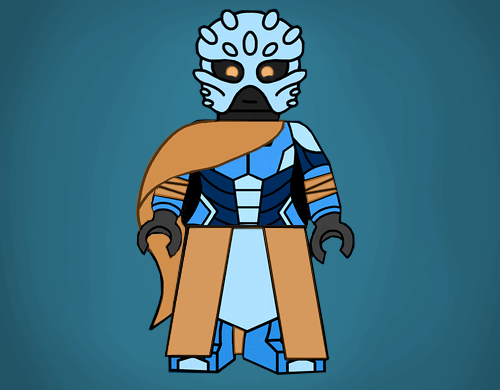 Just another reason why the Nuva should precede the Matoran. 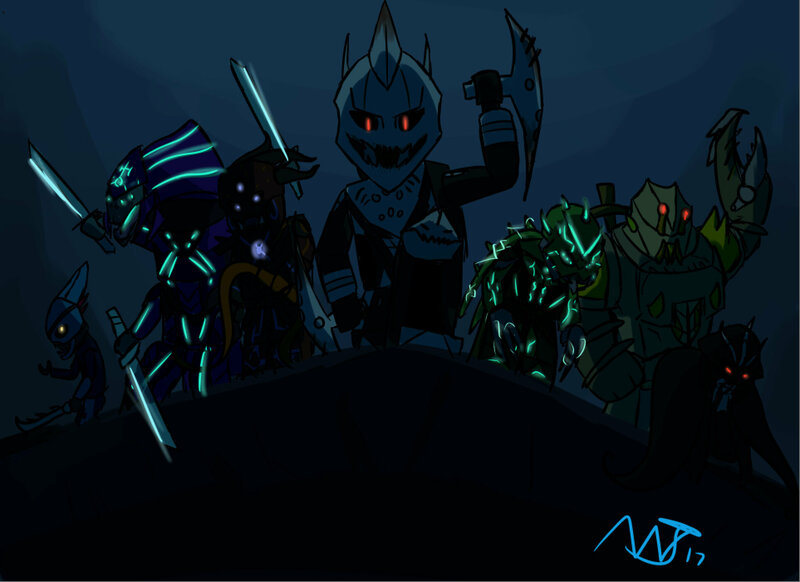 Other than that, they may have made a mistake in choosing the toa because they turned against them and sided with the thing that they first defeated, or the toa team could be around during a time when Makuta had great influence over Artahka. Or we could just get rid of the toa thing alltogether. 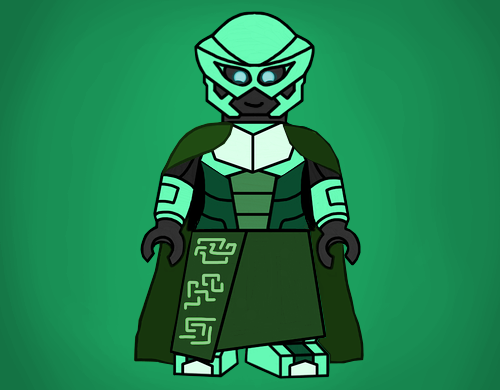 What if there was a toa team long ago (maybe 6 thousand years ago, undocumented) that was somewhat Hagah-esque in the way that they were created to serve the Overseer. The only reason the Toa even exist is because they were created to seal away Makuta and Ekimu. 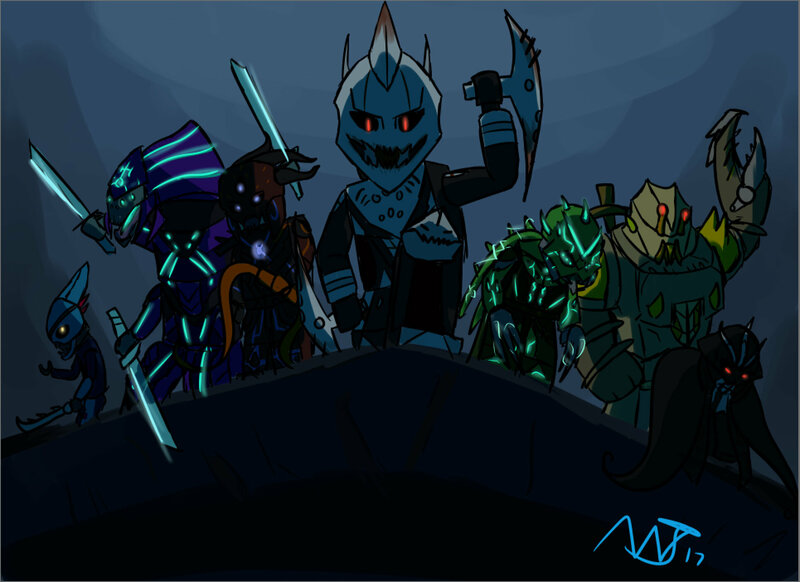 The first Toa are summoned to do this task. There is no situation in which there would be other Toa created afterwards to serve Makuta. He is gone from that moment until our current story. I believe that as we add more and more Toa teams, it will become a bit repetitive and less unique. Three teams is great in my opinion, because it shows that calling upon the Toa spirits is the last opinion during the worst case scenario. We can of course keep Gorast, I believe. Adding side characters to the Barraki would be a great way to flesh out the period a bit more, and if the TTV decides not to include the Barraki during the present time and only have them in the past (If they ever decide to include them), as it was suggested before by @Jon. As for a teaser, another pitching thing is coming! Maybe even tomorrow! Now! All of the island's layout done by @UltimateMustacheX in this pitch! Practically all credit goes to him! I only swapped Ihu and Mangai to see if it would work, (debate about it in the other topic) and added Mahri. With some of the names, I took inspiration from Oomatu's Artakha art! The larger names are the names of the kingdoms the Warlords made for themselves. The middle ones being the capitals of the regions. 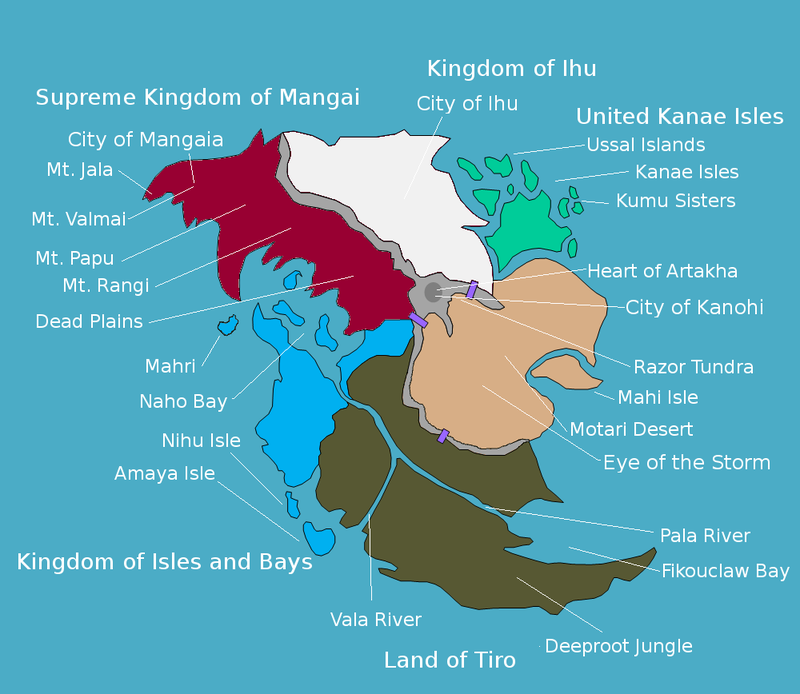 City of Kanohi belongs to the league, so it is the 'technically' capital of it, but no-one sees the league as a united nation, more of a tight and insecure alliance. Tiro and Ihu are deliberately without much text, because they were extremely isolated, + I love that feeling about Tiro during this time.. All mysterious, you know nothing of what lurks in the jungles. I'd love to do a map for the current period aswell! We'll see! Definitely adding this map to the Kanohi Era topic! Naturally, I still like Ihu to the left, but we can wait for the cast to give their thoughts on that. One thing about Tiro is it needs the Archive. My thought was south of where the rivers split. I think archives should be built after the Kanohi Period. Tiro at this time is dense, unexplored and mysterious, filled with sorcerers and dark forces. I would imagine it more as a dark version Amazon rainforest, where you know not what lurks behind a tree's branch, as opposed to a friendly and bright forest. What if the Archives were built in Mantax's city of sorcerers? A controversial decision to do so, but why not use that huge space that is just asking to be used, after it was cleared out at the end of the Kanohi War? You have all of my "yes"! Introducing brand new section to the pitch! High ranking and important matorans who have made themselves known throughout the Kanohi Period and the Kanohi War. By @AntrozT6 (Me), using template by @Noupix, inspired by @Oomatu's Voriki desigs. Although it was Kalmah's accomplishment, the uniting of Mangaian city states is often regarded as his, Kalmah being forgotten. Wait, that's all of them, isn't it? 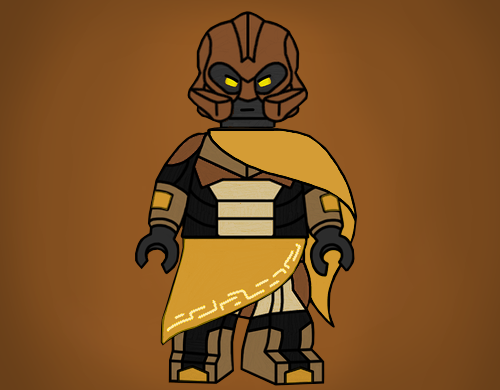 And I'd love, love to do portraits for the Toa Kanohi aswell. These are really cool designs for the Old Artakhans. I think Tiryah and Gadanar are my favorites by design. In the Story Bible, this is canon. 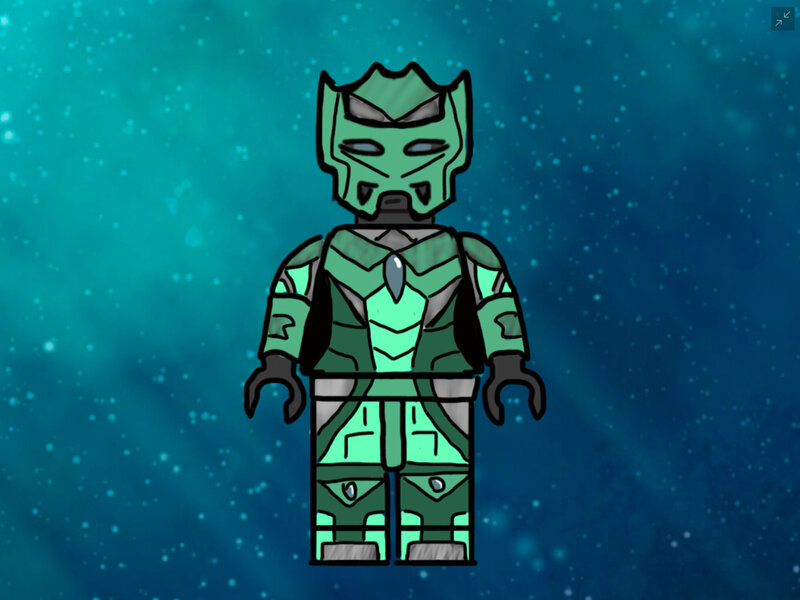 The Great Archive is built after the last Toa die (the ones who sealed away the masks) and because of this, there is not many records or documented history about the Toa, outside of the legends the Matoran tell, and even those are discouraged due to the sensitivity of the mask issue. Thank you, @DarkMaestro! A thousand times over! Kalmah - Showing his strength and determination to win, aswell as his tactical expirience. 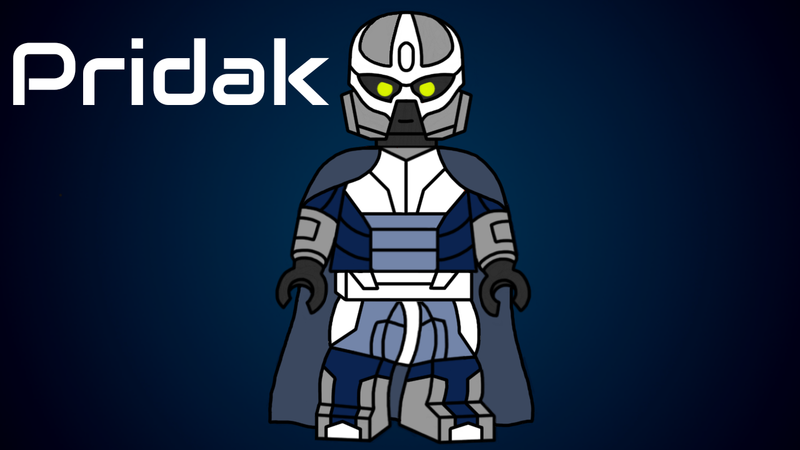 Pridak - Showing his pride, believing himself to be the best matoran alive. Mantax - hunched at the other end of the group, also barely visible. Shows that he has little to do with the league itself, having his own interests. Is covered in darkness, representing the unknown about him.. Yes, the Barraki! I know it's not canon yet, but I don't care, the Barraki are awesome! Kalmah looks perfect, integrating the blue accents that work so surprisingly well with the red, and the orange left arm is a great nod to his attached tentacle. Love the colours on Ehlek, and the spines and claws (Wolverine claws, right?) Not sure about his backstory personally, I was quite fond of his nervous bravery from G1. Silver definitely works best for Pridak, and he looks fantastic overall. His backstory goes a bit overboard I think though. I actually like the bioluminescent shade better than the azure on Takadox. His form is excellent, his eye a surprise, but it works well with his new backstory. Mantax looks utterly ghoulish, it is a brilliant aesthetic for him. The sorcery shtick is unexpected, but a neat idea. Carapar is monstrous. Not sure how the pieces would work, but his craggy aesthetic and almost Flying Dutchman (you all know what I mean) look works well. 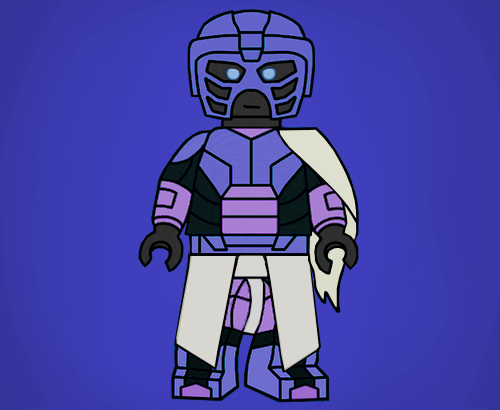 Nocturn as a Vo-Matoran is a surprise, but it helps to differentiate him, and the Garmadon torso is certainly striking. 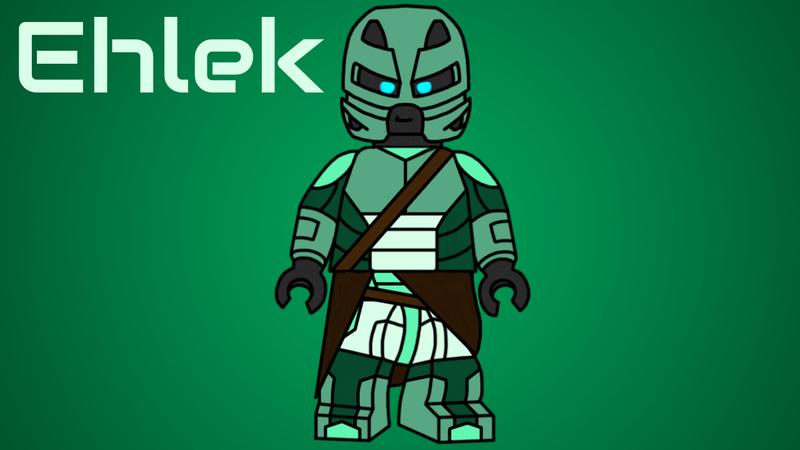 New character designs for pre-mutation Ehlek and Pridak! Big thanks to @Noupix for that! i personally though that the Barraki should not have the monster appearance they are well know for. instead their monster appearances should be just armor, styled after creatures from their folklore, you know how in old cultures they made special headgear and the like to look like animals or possibly deities. one does not need to make them monstrous to keep them similar to their G1 self. They could just be powerful warlords who wear armor styled after belived gods or spirit animals. To put a twist on this, maybe they wear the monster armor during battle, but when they are mutated, it literally becomes a part of their bodies, making them half-Matoran, half-beast?